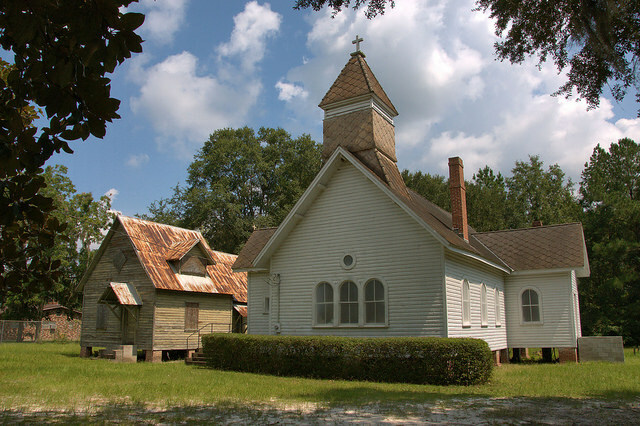 Good Shepherd Episcopal Church and the adjacent Good Shepherd Parochial School are essentially all that remain of the historic Pennick community, a settlement of the descendants of freed slaves. 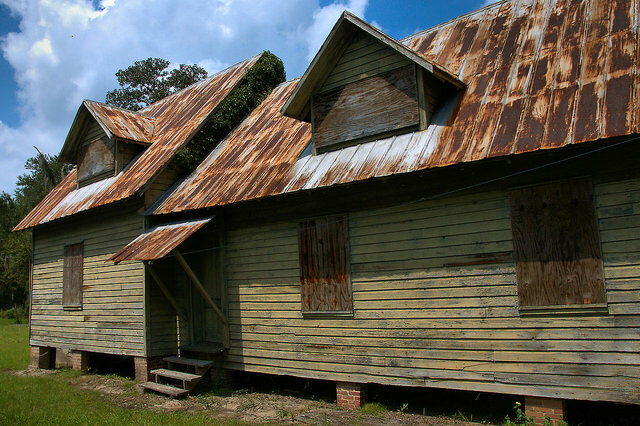 Like Needwood Church and School, also located in Glynn County, they represent a rare church/school complex in relatively original condition. I’m hopeful they’ll both be placed on the National Register of Historic Places in the near future. 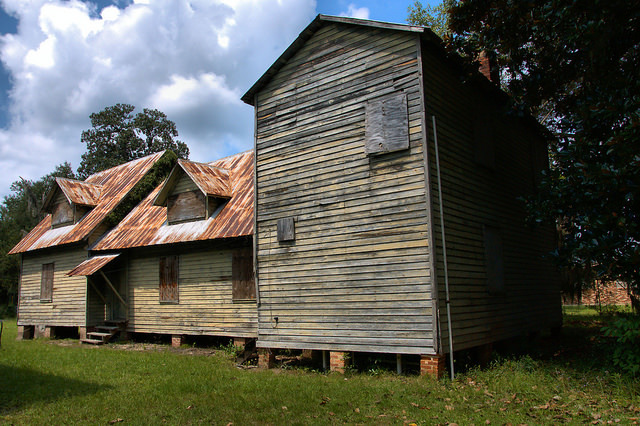 The school was founded by Deaconess Anna Ellison Butler Alexander (1865-1947), who took very seriously the education of her community and became the first black deaconess in the Episcopal Church in 1907. In 1999, she was named a Saint of Georgia, with a feast day of 24 September. Deaconess Alexander’s life was forever interwoven with her faith. 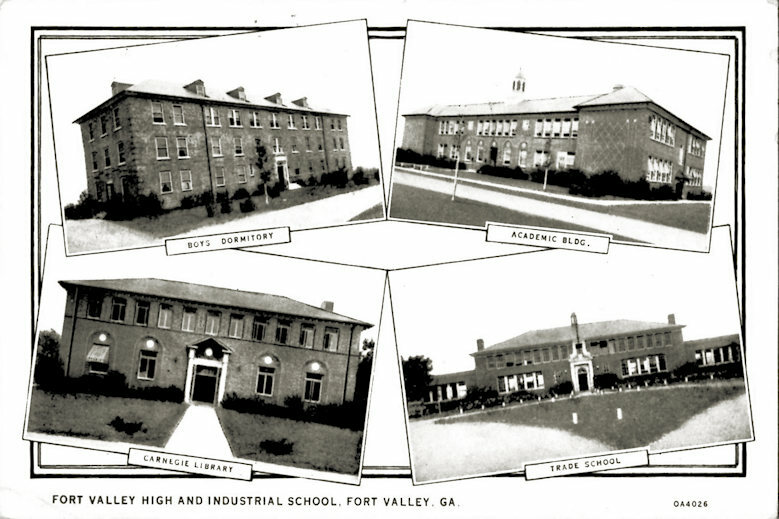 She lived in this apartment (above right) and is buried in front of the school house. Follow this link to see a video tribute to the deaconess by people who knew her personally. It’s quite interesting. 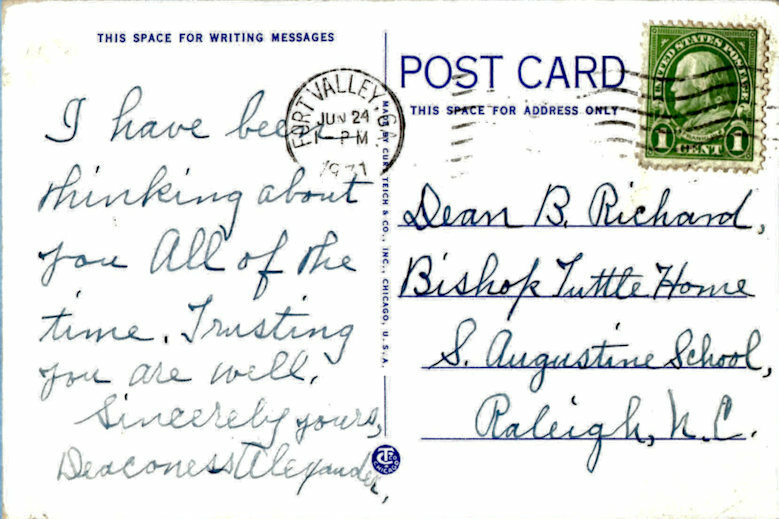 I recently acquired this postcard, mailed by Deaconess Alexander from the Fort Valley High & Industrial School (forerunner to Fort Valley State College) to Dean Richard of the Bishop Tuttle House in Raleigh, North Carolina, in 1931.